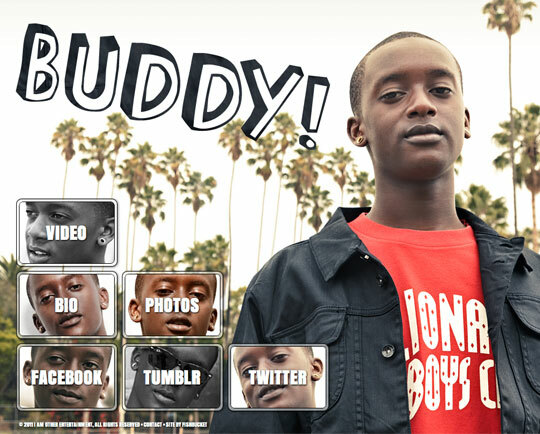 This is a single-page site for Pharrell’s new protégé, Buddy. It had a quick turnaround time, but luckily we had some great photography to work with. This one has a liquid design* and can work at various window sizes. *Not related to Liquid Design, the company where this writer started his web design career in the late 90s. 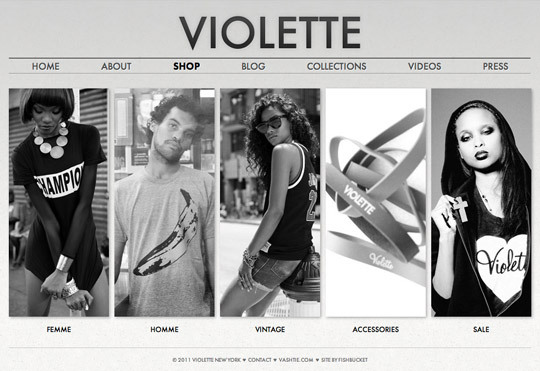 A remade site for Vashtie’s clothing line, Violette. It’s always a pleasure working with Vashtie. I’d like to think it’s because we both grew up in the Capital District and can relate to each other on a 518 level, but it’s probably because she’s generally a great person to work with. She wanted to go simple and use a lot of black & white for this one, so we worked in some desaturation magic and kept everything smooth and slick. The shop uses Big Cartel, which I’d been looking forward to using for a while. I was pleasantly surprised, it was very easy to work with. 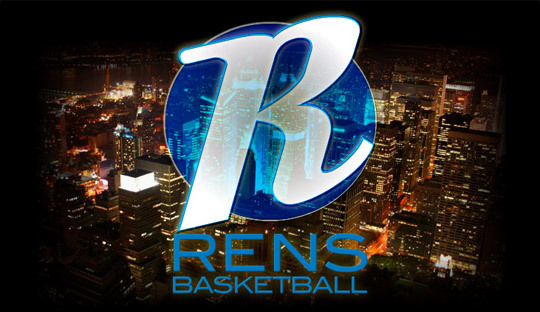 This was a quick site, (still in progress,) for an NYC youth basketball league, The New Renaissance. This site is currently just a quick overview of this new program, and will grow in the near future to show more about the teams. Note: Parts of this site are based on an excellent theme by MKNY Studio.